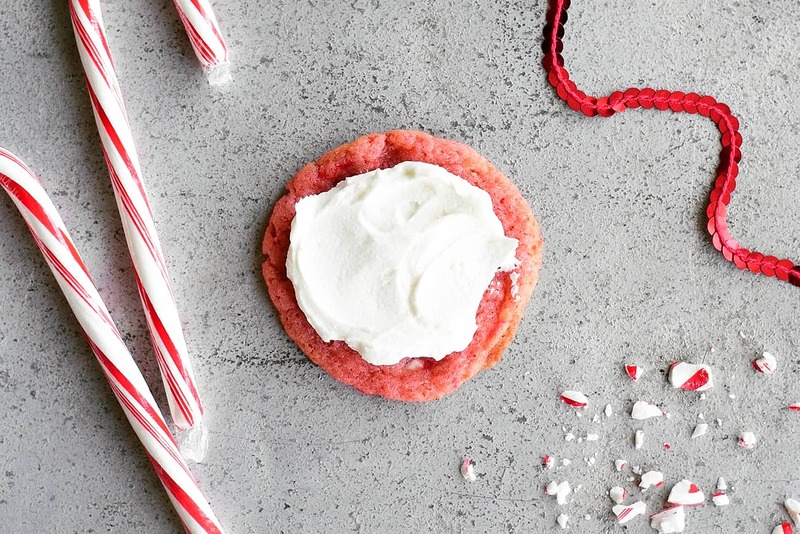 These pretty pink Peppermint Cookies with a candy cane crunch are topped with smooth peppermint buttercream frosting and sprinkled with crushed candy canes! If there’s one flavor that brings Christmas to mind, it is peppermint! I have friends that love candy canes so much they stock up during the holidays so that they have enough to last the whole year. 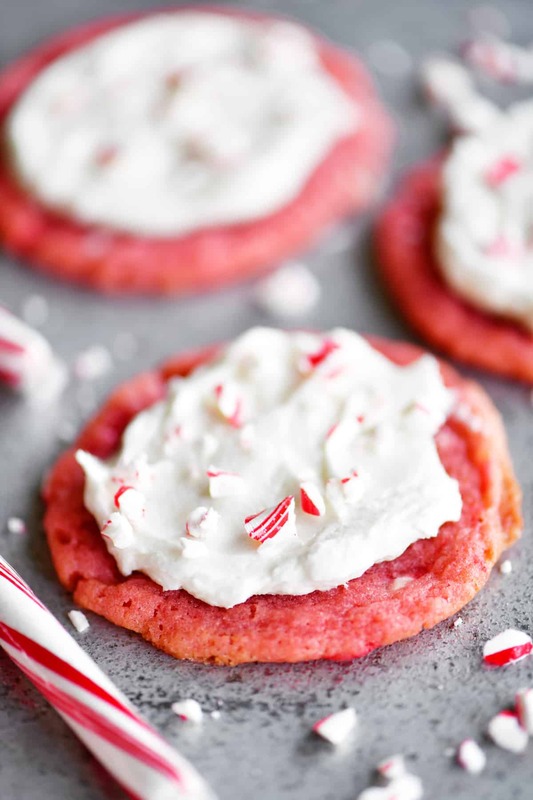 These peppermint cookies are a delicious combination of chewy and crunchy, sweet and minty. Not only do they taste amazing, but they also look so pretty on a cookie platter! Where is the Peppermint Cookies Recipe? In this post, I will share step-by-step instructions with photos for how to make the cookies, as well as answering FAQs about the recipe, giving suggestions for more cookie recipes and showing a video of the recipe. But you can go directly to the recipe by scrolling down to the bottom of the post. 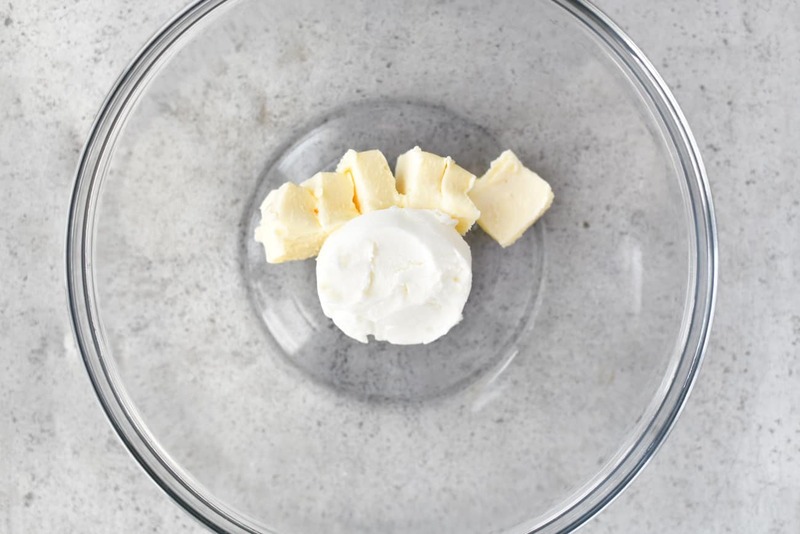 For cookies recipes, I like to use a combination of butter and shortening. The butter adds flavor and the shortening helps the cookies rise higher and have a lighter texture. Cookies made with all butter spread more and end up flatter. After mixing together the butter and shortening, cream in the granulated sugar and brown sugar. 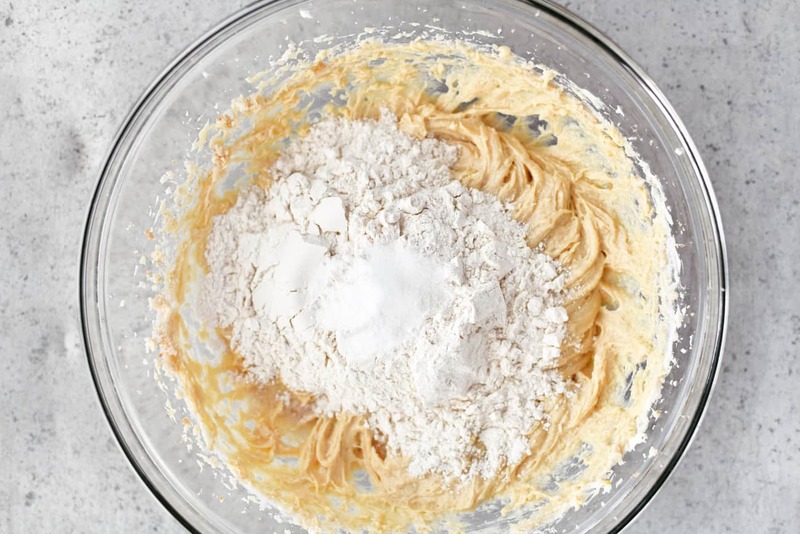 As you beat the mixture, the batter will become lighter in color and fluffier in texture. Creaming the butter and sugar adds air to the mixture making the cookies lighter in texture. The egg adds additional leavening as well as moisture, flavor, and structure. The vanilla is for flavor so use pure vanilla extract. It is more expensive than the imitation vanilla but you only need a little bit and it is definitely worth it. 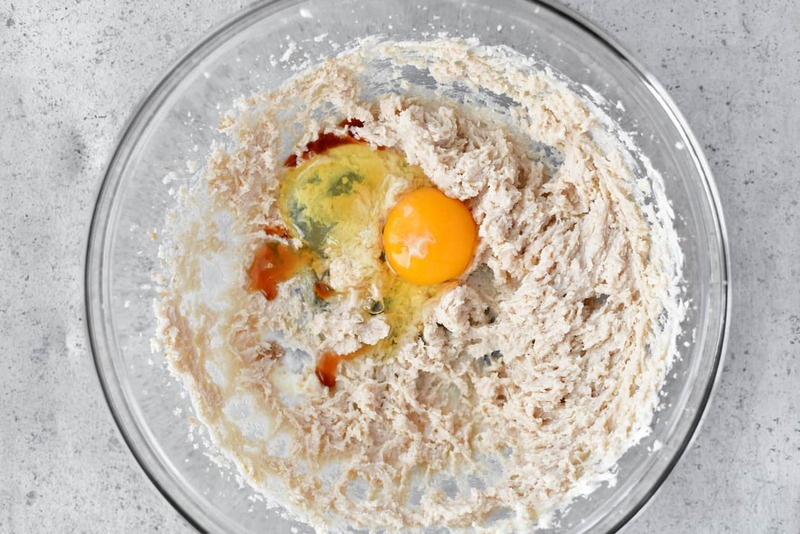 Beating the egg into the creamed butter and sugar will add more air to the cookie dough. The first thing I ever learned how to bake as a child was Betty Crocker’s Chocolate Chip Cookies and I never had to combine the dry ingredients in a separate bowl. Guess what? The cookies always turned out. I just put the flour in the bowl and put the baking soda and salt right on top. Then, I mix it well, scraping down the sides of the bowl to ensure that it is all combined. 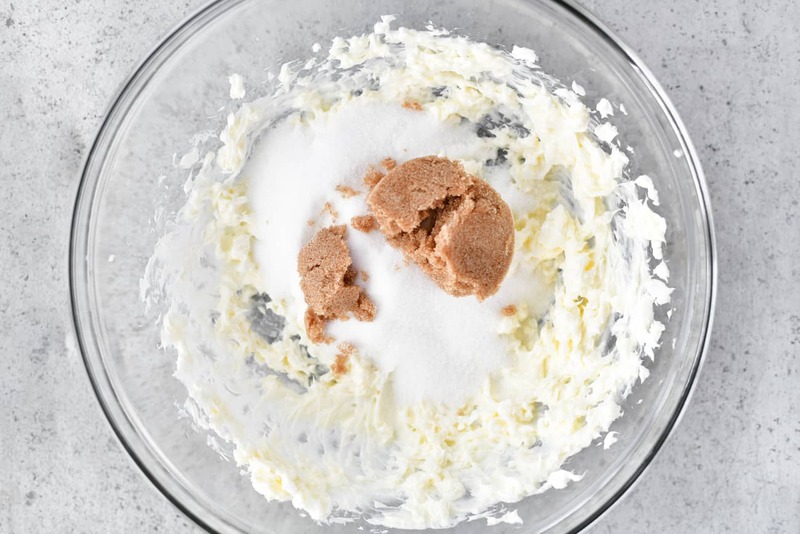 If you prefer you can whisk together the flour, baking soda, and salt in a separate bowl before adding it to the cookie dough. 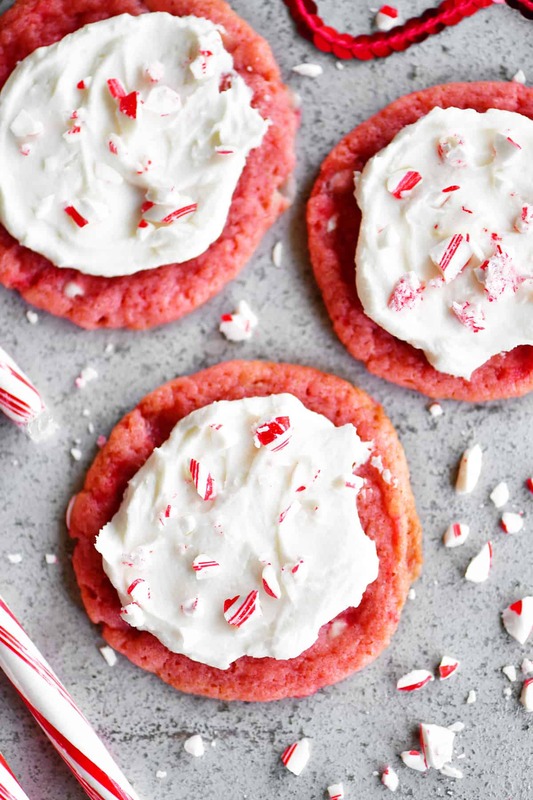 To give these peppermint cookies a little peppermint flavor and a crunchy texture, I like to add a tablespoon of crushed candy canes. Don’t add too many crushed candy canes though or the cookies will spread out from the melted candy canes. 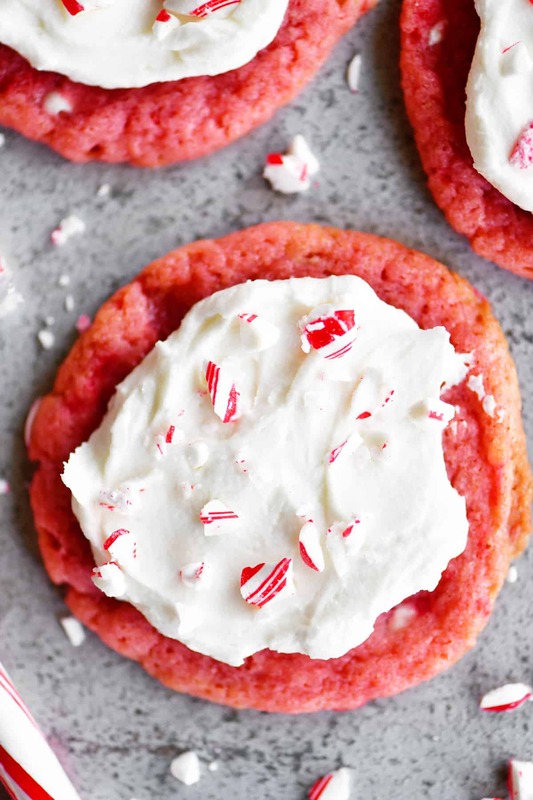 Adding food coloring is optional but makes the cookies prettier and the white frosting contrasts nicely with the pink cookies. I like to use gel paste because it is more concentrated so you need less. 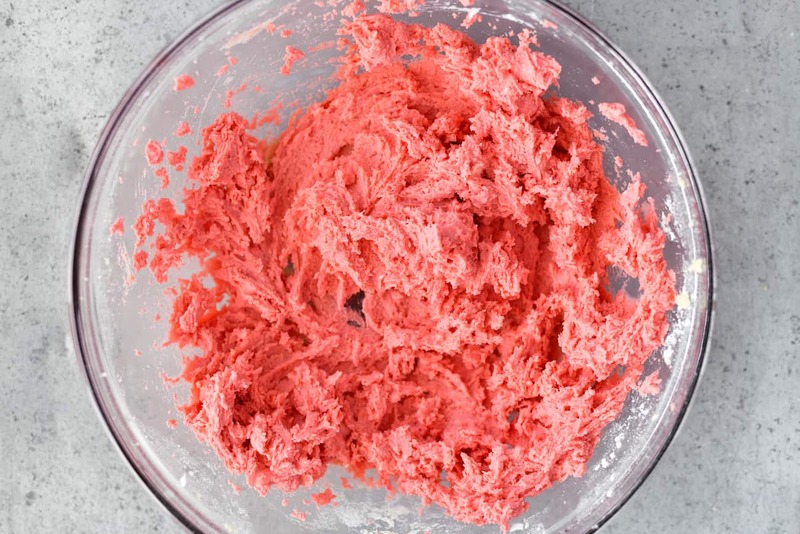 If the peppermint cookie dough isn’t dark enough after mixing in the food coloring, just add a little more and mix until combined. When forming the cookie dough balls, I always use a cookie dough scoop and for this recipe, I used a one-tablespoon sized scoop. Use a dough scoop gives you evenly sized cookies which makes them bake evenly and they fit into storage containers better when they are the same size. Another tip is to cover your baking sheets with parchment paper. The parchment paper prevents the cookies from sticking to the pan and less scrubbing when you are done baking. Once the cookies are finished cooking you can slide the whole piece of parchment paper, with the cookies on top, onto the counter to cool. Before using the baking sheet for the next batch of cookies, allow the baking sheet to cool. Starting with the pan at the same temperature for each batch makes for evenly baked cookies. Finally, frost the cookies with peppermint buttercream frosting and sprinkle them with more crushed candy canes. Need a peppermint buttercream frosting recipe? I’ve included a recipe for peppermint buttercream frosting in the cookie recipe card below. Or if you want to use store-bought frosting, buy vanilla frosting and stir in a little peppermint extract. 1. 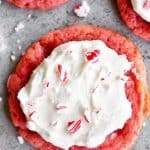 Can I make these cookies without the crushed candy canes? Yes! And if you want to add something instead, try sprinkles, white chocolate chips or semi-sweet chocolate chips. 2. Would crushed starlight mints work instead of crushed candy canes? Yes. I like to use candy canes because there is more red in them than in starlight mints but both work in the recipe. 3. Can the peppermint cookie dough be frozen? Yes! Prepare the cookie dough, put the cookie dough balls on a parchment lined pan and put them in the freezer. 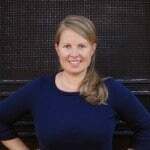 Once they are firm, move them to a plastic gallon-sized freezer bag. When ready to bake, place them on a parchment covered baking sheet and bake at 375˚F for 9-11 minutes. 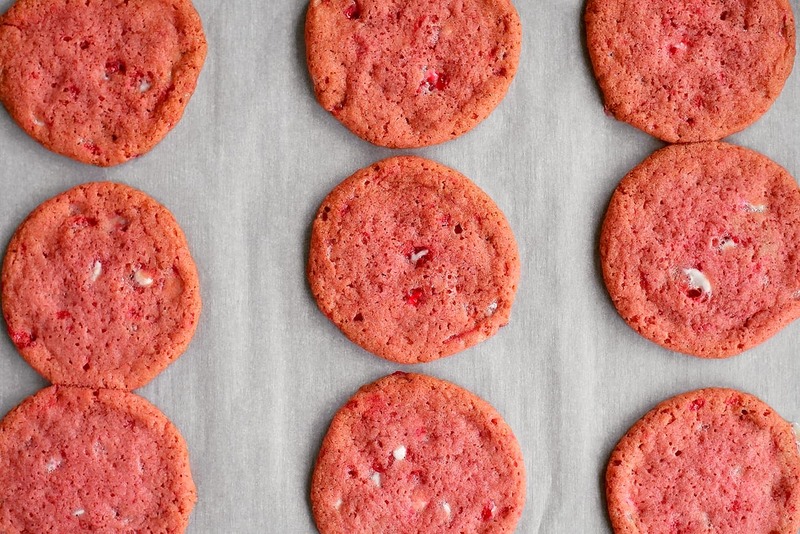 Want More Christmas Cookie Recipes? We’ve Got You Covered! 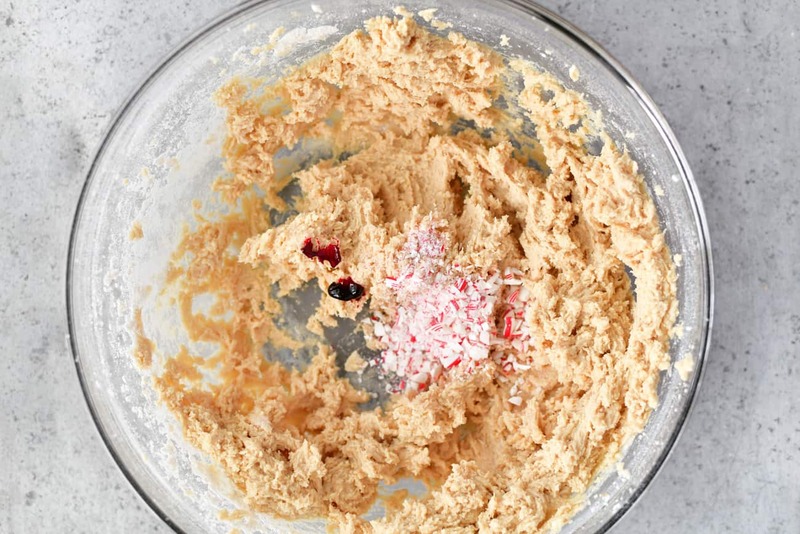 Kitchen hack for holiday baking: make four Christmas cookies from one basic dough with this recipe. Prepare the dough ahead of time, freeze and bake later! Cream cheese cookies from Pizzazzerie are the most heavenly little bites of sweetness! They’re addicting; you’ve been warned! These Melted Snowman Cookies from Somewhat Simple are an easy winter treat your kids, coworkers, or party guests will LOVE! This chewy Hot Chocolate Cookies recipe is so much fun from the marshmallow cream and hot chocolate mix to the milk chocolate chips and mini marshmallows! Combine the butter and shortening. Cream the butter with the granulated sugar and brown sugar until light and fluffy. Add the flour, baking soda, and salt. Mix until combined scraping down the sides of the bowl as needed. Stir in the crushed candy canes and red gel paste food coloring. 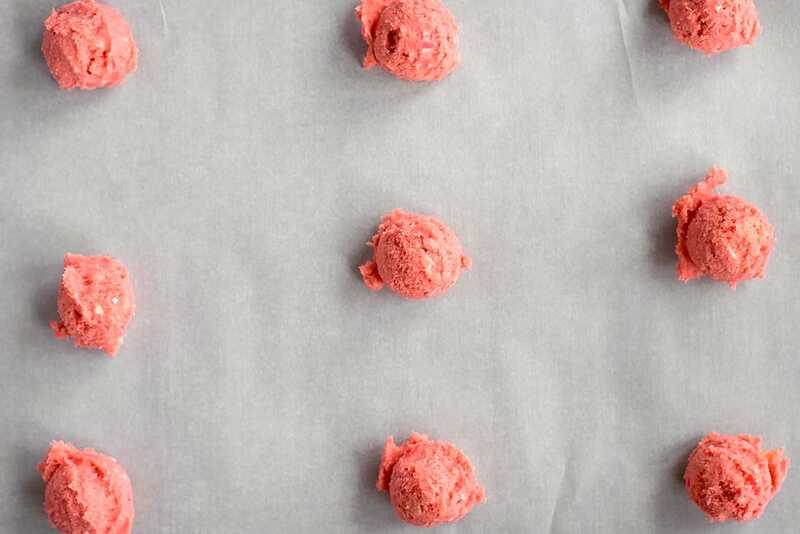 Scoop one tablespoon sized balls of cookie dough onto a parchment covered baking sheet. Bake at 375˚F for 8-11 minutes. Allow the cookies to cool. Frosting the peppermint buttercream frosting and sprinkle with crushed candy canes. Beat the softened butter and shortening. Mix in 1 teaspoon peppermint extract and 1/8 teaspoon salt. Slowly mix in add 4 cups powdered sugar, one cup at a time. Add 2-3 tablespoons milk and beat until smooth.